Feral Blue is about surviving on a ship with your crew in the boundless Ocean, which once flooded the entire planet. Start with your first ship, build your town, subdue your enemies and create your own oceanic empire! Feral Blue will be available in Chinese! Just a one-line news about this here as we want to rid you from the wall of hieroglyphs in your Steam feed. The original post in Chinese can be hidden on the store page, but not your 'Activity' (oh, Steam). So, Feral Blue will be available in Chinese as well! Exciting, right? Yes. So today is the day! Everyone who's signed up for the Feral Blue's first alpha until today should have received an e-mail from us — but just in case, you will find your Steam key once you log into your account here. Let us also give a general rundown on this whole affair. This alpha is an alpha in the truest sense of the word. Meaning you will launch a very early build with plenty of bugs, placeholders and unfinished things. 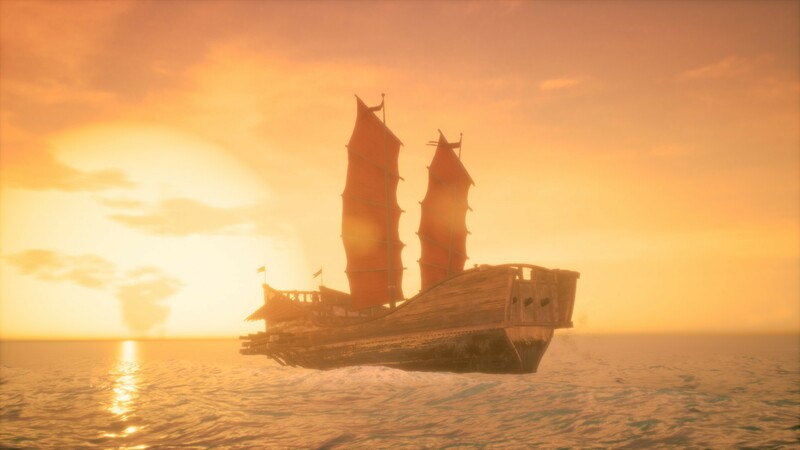 Our top mission at this stage is to understand whether it's fun to shoot in naval battles, how interesting it is to manage your crew on your ship and how much you like the general idea of the game. We are not planning to update this exact build, except for maybe fixing some small and critical stuff — we'll focus on further development. And once we're ready to hit the next milestone, then it will be the time for the Second Alpha! Please let us know what you think about the alpha in this thread on Steam discussions or on our alpha discussion channel on Discord. Detailed crew management — your people differ from each other, have their needs and require constant attention, otherwise it can all end with an epidemic or riot.